For those students who have not yet joined the IEEE or UFFC. This link will take you to a page to purchase both memberships. 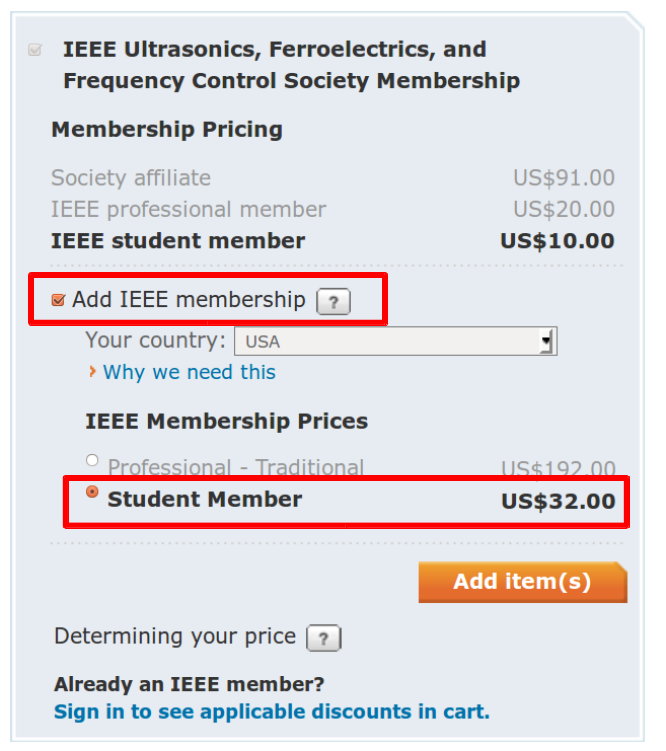 To purchase, the student membership click on "Add IEEE membership" and then select "Student Member" as shown in the figure to the right. To add the UFFC membership to an exisitng IEEE membership, login to your account after going to the following link. This will allow you to add the UFFC membership to your IEEE membership.